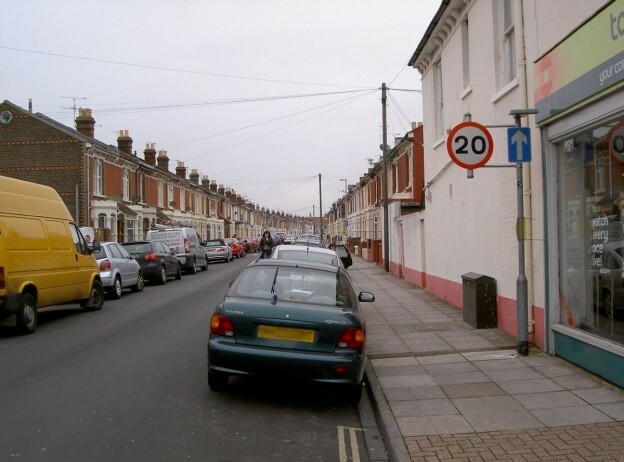 Some county councils seek to “manage expectations” by adopting policies that are not consistent with DfT guidance in an attempt to dampen down the legitimate aspirations of communities for lower speeds. That isn’t to say all shire counties. Indeed Lancashire has already implemented Total 20 and also Bath & North East Somerset is progressing in its roll-out. Also other places with rural parts or outlying villages are implementing Total 20 in villages. Sefton and Warrington are examples. But it is clear that many shires seem ideologically opposed to 20mph limits in their communities. Major streets where there are – or could be – significant numbers of journeys on foot, and/or where pedal cycle movements are an important consideration, and this outweighs the disadvantage of longer journey times for motorised traffic. 20mph limits have been set on many A roads and “major” roads. These include London, Edinburgh, Thirsk, Belfast, Portsmouth, etc. Many police forces including Lancashire, Merseyside, Thames Valley, Avon & Somerset, Cheshire, Cambridge, Metropolitan and City of London are conducting enforcement of 20mph limits.